In the third part of our complexity series we will take a closer look at the different levels of complexity that we encounter in organizations and what these require from executives. 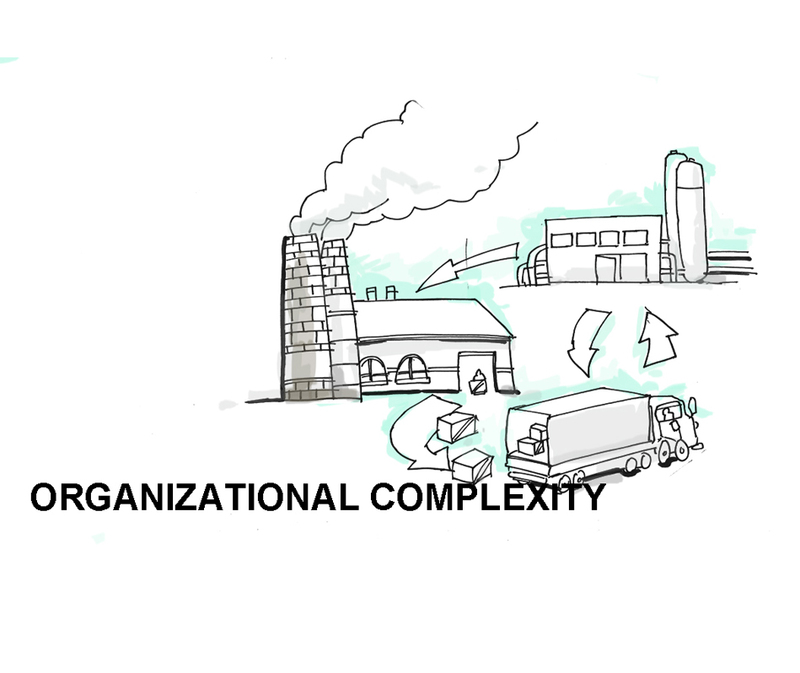 Organizations face complexity on three different levels: operational complexity, organizational complexity and external, environmental complexity. Each of these requires different approaches and different capabilities to cope with successfully. The most tangible is the complexity we face on an operational level. 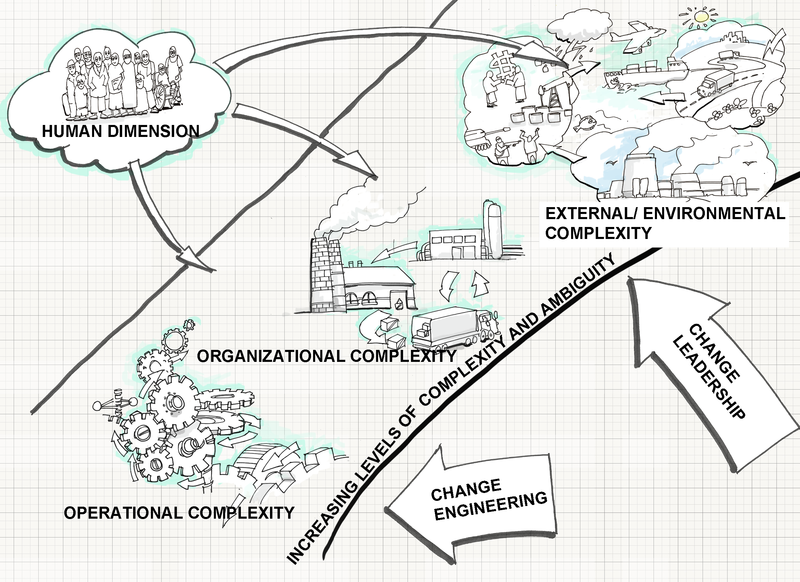 Remember the candy factory from our previous post; operational complexity encompasses e.g. the manufacturing process, the logistics of supply and distribution, or effective, customer focused marketing campaigns. On this level it can already get pretty mind boggling. Think of an aircraft carrier that has to align their flight plans with the locations of their planes, their staff, employment regulations, customer demand, seasonality and restrictions on airport capacities. Then they need to factor in possible delays, weather, fuel requirements etc. 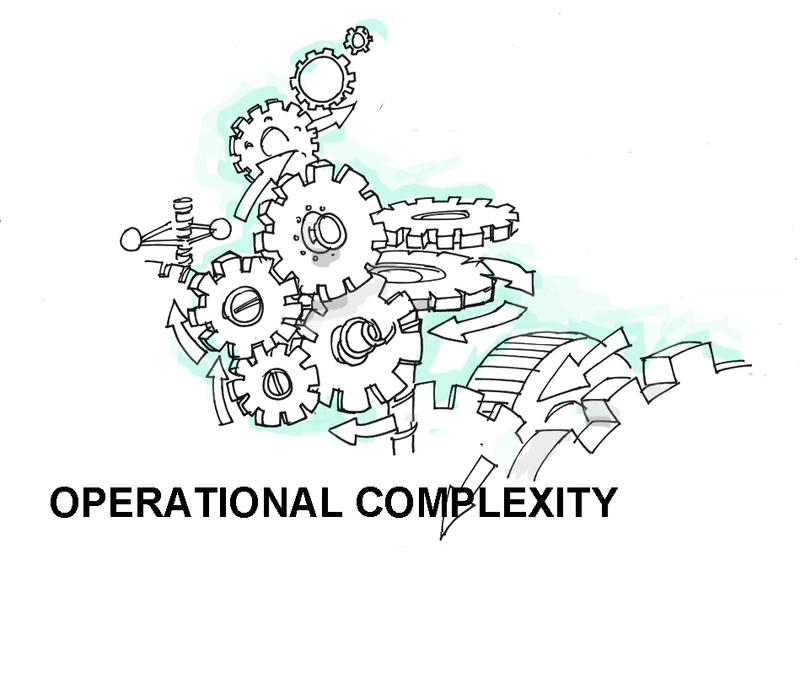 Often operational complexity requires careful systems design and logistics to cater to a range of variables and reduce risk. Modelling the system is crucial to grasp as many variants and diversion from the plan as possible and create contingency plans and just enough slack in the system to be able to cope. A good operations manager keeps control of the system while continuously trying to improve the way it operates. On the organizational level the inherent complexity of operations is embedded within the larger frame of the company. Operations is just one sub-system. It has to be carefully linked with the many other components of the organization, other departments as well as the intangible aspects that shape the organization; its brand, customer perceptions, supplier relationships and routes to market, business model, etc. As we examined previously, organizational complexity is demonstrated in the interplay between all these factors, the need to balance priorities and make compromises across business functions for the benefit of the whole organization’s current and future plans. At the most headache-inducing end of the spectrum is the external, environmental complexity. This captures all external factors and dynamics that may or may not influence the performance of the organization and shape its environment. Here we encounter most of the 'unknown unknowns' we discussed in our first blogpost on complexity. For our candy factory a new legislation could be quite disruptive; a sugar tax, the candy free till at the supermarket or a general ban of sweets in schools. Elements of external complexity include the political, legal and regulatory environment, technical advances, research discoveries, economic dynamics, financial systems, environmental requirements, changing customer expectations and behaviour, the competitive landscape, culture, to name a few. Think Brexit, Climate Change, Protectionism in the U.S. and you get the potential scope of it. True agility isn't just optimizing an organization’s internal workings to fit a changing market, it is the ability to cope with dynamic changes in the wider external environment. True agility is staying ahead of the curve. While coping with operational complexity is the responsibility of departmental heads such as the Chief of Operations, organizational and environmental complexity are the concern of the CEO and the board. The higher the level of complexity, the more demanding the role. Operational complexity captures a timeframe of annual forecasts and planning with the occasional reach into more long-term planning when changing machinery or processes. Organizational complexity challenges managers to look beyond the immediate and plan for the next two to five years anticipating future needs of the business as well as the current opportunities and risks. It also requires an organization-wide perspective and cross-functional collaboration, avoiding the silo-thinking that may occur at functional level. Trade-offs need to be made between today's operational needs and future strategic plans. 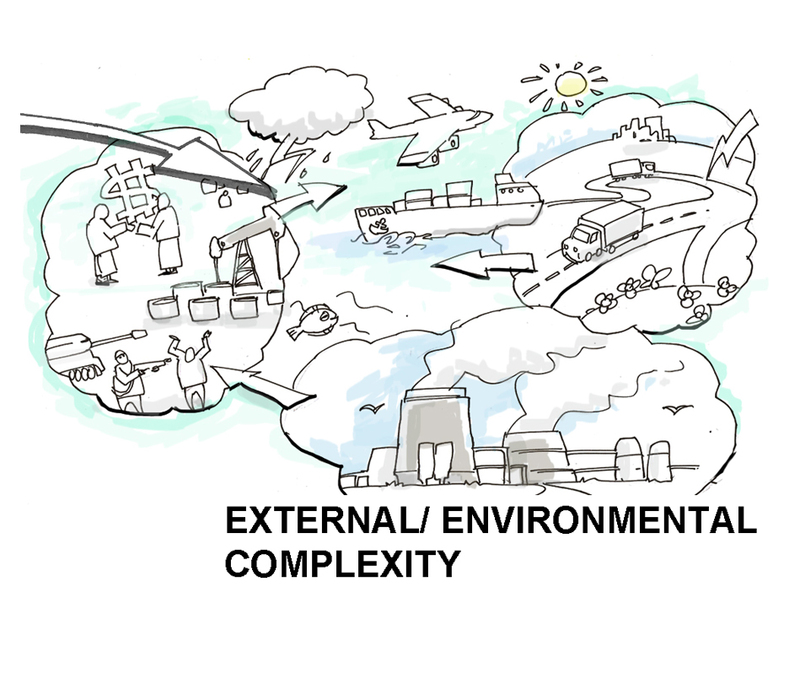 External, environmental complexity poses the most wide-reaching challenge. It forces CEOs and the leadership team to look beyond the organization, anticipate trends and future developments and their potential impact on the business. If you find yourself promoted from heading a department to heading an organization this shift in breadth of your perspective is what will likely be the change you find hardest to adjust to.